Bongos fill the air as actors walk around in guayaberas and colorful dresses. Soon, the lights shut off and all eyes fall on the woman in the spotlight as she opens the play with her sultry voice while provocatively smoking a cigar. 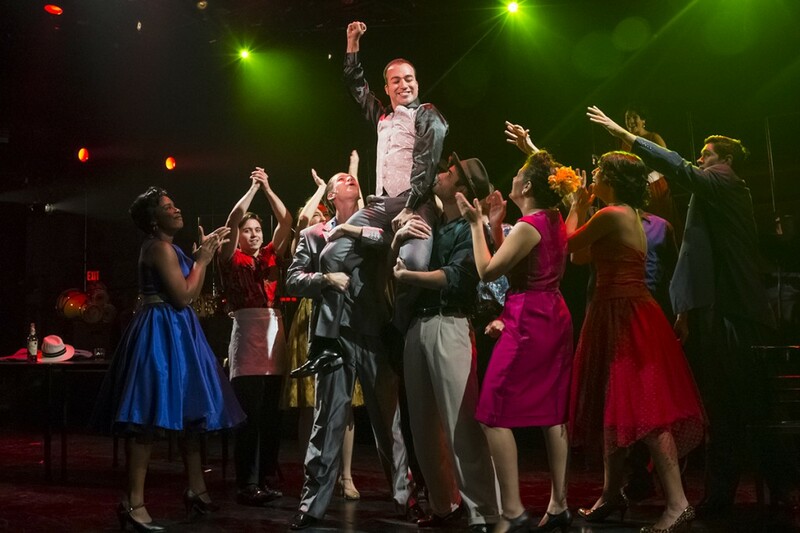 The classical French opera “Carmen” premiered Wednesday with an Afro-Cuban twist at the Jerry Herman Ring Theatre and will run through Nov. 23. University of Miami students teamed up with New York’s Tectonic Theater Project to transport the opera to a 1958 Cuban setting where 14 of the 20 actors are UM students. The play takes place during Dictator Fulgencio Batista’s regime in Havana, Cuba, the year before Fidel Castro took reign. It follows the trouble that Carmen, the female lead, creates when she seduces Don Jose, one of Batista’s officers. After allowing Carmen to escape, he falls in love with her and leaves his girlfriend, Micaela, in the small town of Santa Clara. This adaptation involves a new script that brought changes throughout the rehearsal process. The “developmental” and “malleable” process of “Carmen” becoming a brand new musical has been the greatest challenge sophomore Savannah Renauldi has faced, in addition to building her confidence. Henry Fonte, Ring producing artistic director, says students benefit from participating in the creation of new work with Moises Kaufman, artistic director of Tectonic. “It’s very different working on a new play than on a play like ‘South Pacific;’ you know ‘South Pacific’ will not change,” said Fonte. “The template on how to produce it is already made, but here we are creating the work out of nothing. Fonte, having fled Cuba when he was 11 years old, makes sure the play stays true to history. “I’m trying to keep the Cuban-ness of it and I remember a lot of what was there,” Fonte said. Another sophomore, Kyla Samuels-Stewart, plays Mercedes, a close friend of Carmen who helps her smuggle arms to the rebels against Batista. She has been grateful to work with Tectonic. “[Kaufman] actually asks for opinions and input from students regarding his work… it makes us feel special and like we’re also a part of the process,” Samuels-Stewart said. Cost: $15 for students or free on “Totally Tuesday” Nov. 18.